Panic Records has signed Breag Naofa. 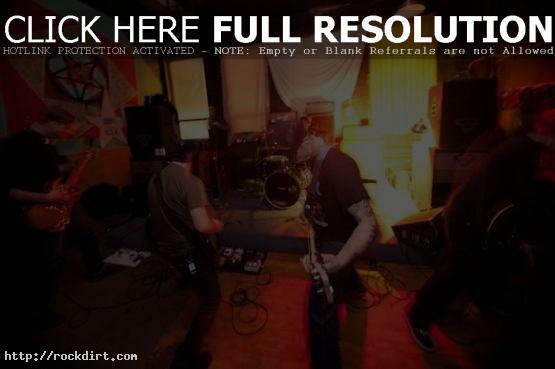 The Seattle based band (which features members of Trial and Love Is Red) will release its self-titled LP on Valentines Day 2012. Breag Naofa (Old Irish Gaelic name pronounced Bray-G Nay-Fuh) which simply means “holy lie”, was formed of a core of six members who’s socio/political ideas all differ slightly. The common thread throughout Breag Naofa’s ideology is that religion still poisons every aspect of the human experience. Set lyrically in a narrative style, Breag Naofa uses both lyrics and their music as a vehicle to convey this mutual feeling of disgust, despair, and disillusionment with the effects that belief and reliance in the “supernatural” has had upon human existence from past to present. Check out the new song titled ‘IV’ at facebook.com/BreagNaofa.